Our guide to Exterior Paint offers detailed descriptions of companies such as ETO Doors and Country Traditions Lighting. 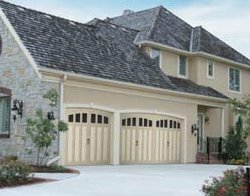 Manufacturer offers an extensive line of stock and semi-custom interior and exterior doors of mahogany, alder, steel and fiberglass. Easy online design and ordering tool. Starting life as a furniture manufacturer specializing in traditional milk paint finishes, this company evolved into Canada�s only milk paint manufacturer. Today the company also produces other environmentally friendly paint and wood finish products. 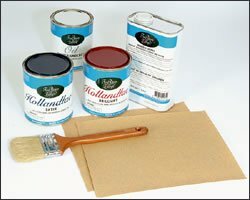 Supplier of a full line of paint sundries and exterior home-care products, including EPA-recognized kits to test for lead paint. Also: Klean-Strip premium strippers and such specialty removers as KWIK marine and methylene chloride-free Citristrip. This Indiana company makes its paints in small batches with careful attention to holding and coverage, plus colors. It offers lines of milk paint, oil paint and acrylic latex for use inside or out. Liquid vinyl siding is an exterior coating that, according to its maker, looks like a fresh coat of paint but won't crack, clip, peel, or chalk. The product was developed in England as a replacement for ordinary paint.